A lottery jackpot is usually an incentive for the winner to be more generous and many people choose to help those in need even if they don’t know them. This makes it even more surprising that a recent EuroMillions jackpot winner decided to give nothing to his son after winning £3.1million. Apparently, his son didn’t take the refuse lightly and decided to pressure his father into sharing some of the windfall but things turned from bad to worse as the senior accused him of harassment. 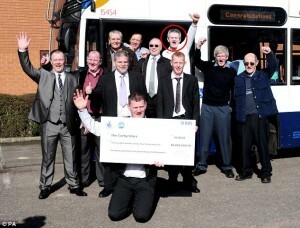 Alex Robinson and his fellow colleagues were the EuroMillions jackpot winners in March 2012 and the 12 drivers split the money equally. There were no controversies and the winners were very happy with the outcome, but for the Robinson family this was only the beginning. Soon after collecting the prize, he took off and relocated to Spain where he lives with his girlfriend and doesn’t interact much with his family. His son, William Robertson was less annoyed by the separation and more frustrated by the fact that he didn’t receive a dime. He told the media that his father chose to give him 200 cigarettes instead of money but he claimed that he made no threats. On the other hand, Alex Robinson filed a complaint accusing his son after he allegedly received three threatening messages back in September. He claimed that ever since he had trouble sleeping, lives in constant terror and is even finding refuge in alcohol. Surprising enough, he didn’t show up for the hearing and this led to the dismissal of the case and acquittal of his son. Alex Robinson played the lottery as a member of a syndicate so when their numbers came up, he only had a legal obligation to share the money with the other members of the group. 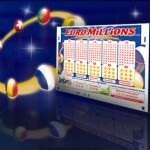 Once this process was over, the EuroMillions jackpot winner was entitled to do whatever he saw fit with the money and apparently this is exactly what was on Mr. Robinson’s mind. He left his family home and traded the wet and somewhat cold British weather for the sunny Benidorm in Spain, where he now lives with his partner. 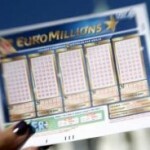 He was obviously a lucky man to match all the winning numbers, but the EuroMillions jackpot winner will have to find new ways of mending his relationship with the family now that the legal one is off the table. It is slightly surprising that he didn’t book a flight to London to present his case in court, given the fact that it was in his best interest to appear in front of the judge. Regardless of the motives behind his decision, now that the court dismissed his complaint, only time will tell what will happen next and how will the relationship between him and his son evolve. 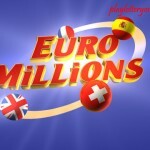 Check out the British player wins massive EuroMillions jackpot.